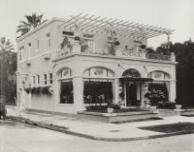 views of the shop, one with the Roman Candy wagon parked in front. 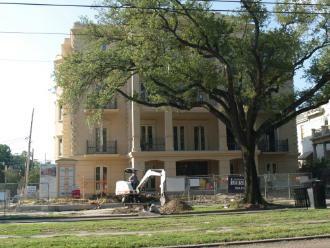 right, the condominiums now in place at 2600 St. Charles Avenue. 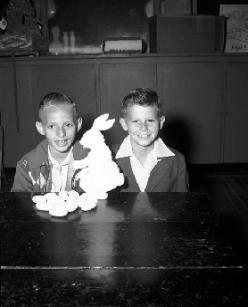 store sign on the left reads, "Dress up for Easter;" 1951. 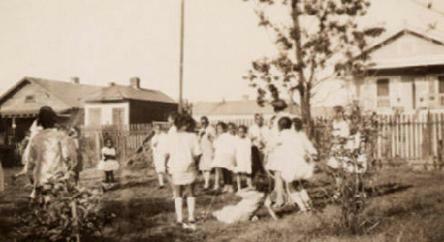 NORD Easter party, Rosenwald Center, 1956. 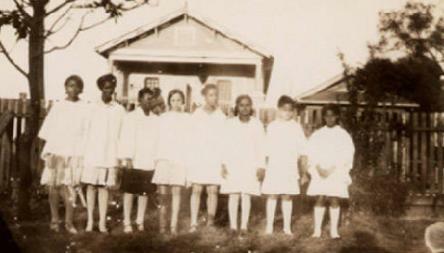 Church enjoy an Easter egg hunt at the Phillips' family home, 1930. 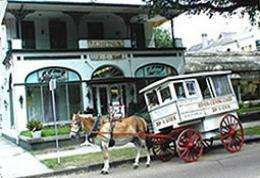 Elmer's Candy Company, New Orleans, 1950's. 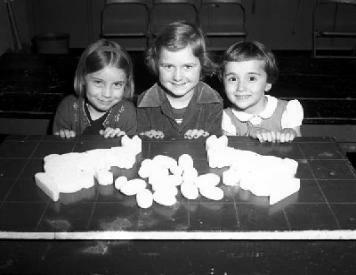 Above & below, NORD Easter party, Wisner, Stallings Center, 1956. 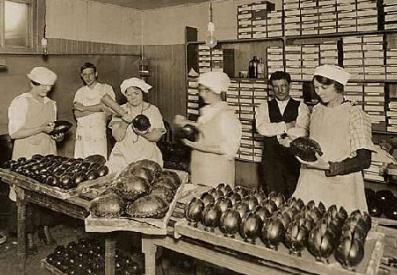 Easter at Fuerst and Kraemer, Ltd., Candy Company, New Orleans, 1920's. 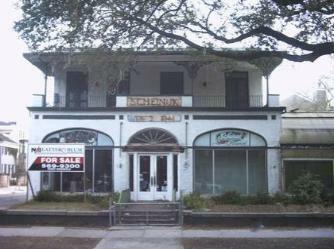 longer make an appearance on St. Charles Avenue, but the childhood memories remain.